Teaching a child with a visual perception delay to read is a long and frustrating process for both the parent and child. The parent get frustrated because the child cannot remember letter sounds which means they cannot put together the letter sounds to make their words. I am struggling with this right now with Caty. She cannot remember her letter sounds and it is making her so frustrated. So we were excited to get a chance to review First Start Reading from Memoria Press. First Start Reading ($42.95) was created for students in Preschool through 1st grade (depending on if you have a struggling reader). 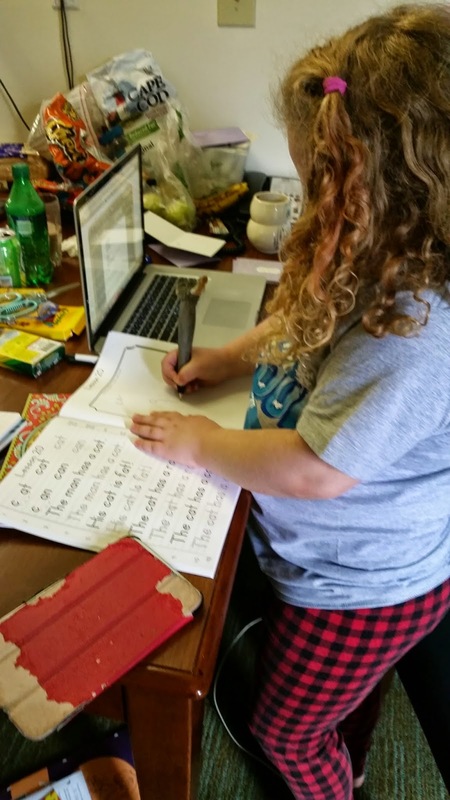 It combines those crucial early handwriting skills with a traditional vowel-consonant approach reading program. When you buy the First Start Reading program, you receive four workbooks and a teachers guide. Normally I don't purchase Teacher Guides. I always just figure that I will pull it off somehow and save the money. But I really did enjoy the Guide that comes with this set. It lists out the full lesson and scripts it for me really well. It made pre-planning each lesson super easy. You can see how the lesson is made to be brief, but have an impact on the child. Each lesson has the "less is more" approach, which is a bonus for short-attention spans. We even did fun things when it came to listening for sounds. We would do stand up/sit down. Jump for sounds, and clap for sounds. It helped her focus on listening for the sounds in the words. As you can see, the handwriting is included in each lesson. This is from Book 1. Each lesson introduces sounds, and shows the students how to take those sounds and make them into words. Every lesson continues to build on top of the previous lesson. 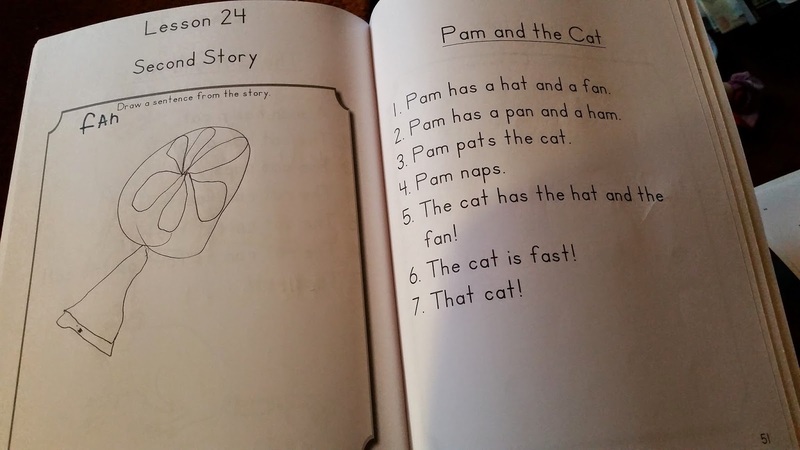 I like that the handwriting has traceable letters for the kids in the beginning. 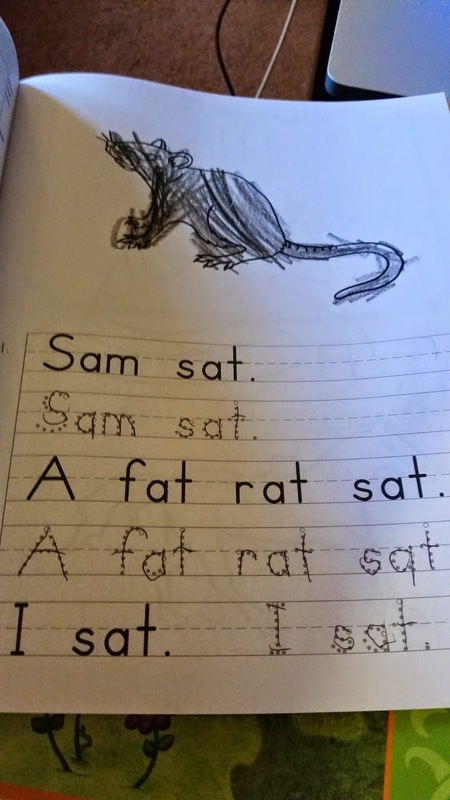 Caty struggles with letter formation. So this helped her form letters of the words that she is learning to read. Many of the lessons and stories have areas for the kids to draw, which also helps with their fine motor skills. But it also helped Caty to work on early comprehension skills. You start out in Book A and work your way through lessons. You are working for mastery, so if you child is still struggling you will want to spend extra time on the lesson they are struggling with. In lessons where she does not need extra help, there was a couple lessons where she was able to do 2 lessons a day. In lessons where she is struggling we are able to do some extra work. There are four books in the First Start Reading series. So depending on your student's abilities, this is a full year program. Lessons are short and last about 15 minutes for each one. So this also helps for those with short attention spans (like Caty). There is not a ton of extra books that you need to keep track of either. Some reading programs have several early reader books that you must keep track of. With First Start Reading, the sentences and stories that they read are in each lesson. When we are traveling, this really helps out on the need to keep cut back on the amount of books that we carry. So First Start Reading would also be great for those who are schooling on the road. First Start Reading seems to be helping Caty with her reading struggles, because of the approach. 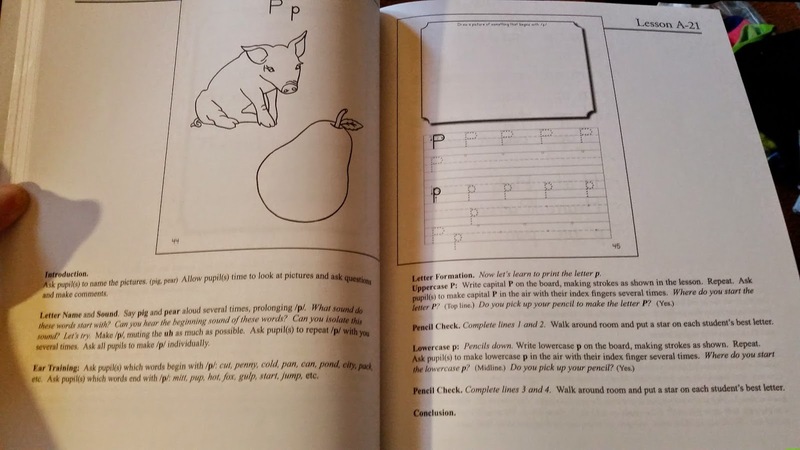 If you have a child that is struggling with a visual perception delay, I would recommend checking out First Start Reading for them. It is not a miracle, and we are working on mastery very slowly. But Caty has not gotten as frustrated using First Start Reading like she has with other programs. So we will continue to chug along and see where this takes us. Several members of the Schoolhouse Review Crew were given the opportunity to try out First Start Reading and New American Cursive from Memoria Press. See how they used these products in their homes and how they worked for their families. You can read them by visiting the blog in the link below.